With an increase in artists in the community it made me wonder if there was a case of one artist to do all or if there was now a difference in artists. 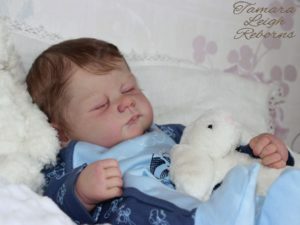 I always thought that the art of reborning was to turn a blank canvas into a lifelike realistic baby. Does this mean that it then matters if the baby that is painted is either vinyl or silicone. 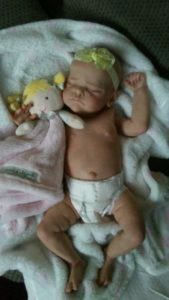 The skills involved for each type of baby may be different but they are equally as difficult to learn and master. I know thst some silicone atists do not actually like being called reborn artists, they prefer to be referred to as silicone artists. This is of course their choice. 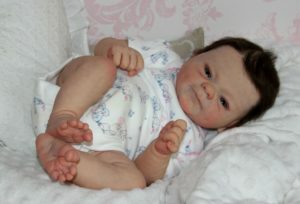 I do think that it is amazing what both the artists that use vinyl babies and those that use silicone babies can do. The work they produce is stunning. 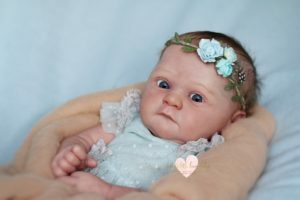 A lot of the time the babies are super realistic. Whether its a vinyl or a silicone artist the talent displayed is amazing. So is it really seen as a bad thing to refer to a silicone arist as a reborn artist? Sometimes I wonder if I get it wrong does it cause offence? I would love to know what everyone thinks.